You can´t overcome low self-esteem overnight, it takes time. But understanding the possible causes and contributors to your low self-esteem is key to help you address it. Take baby steps, and focus on your end goal. If you´re to rate your worth from 1 to 10, 1 being the lowest and 10 the highest, what´s your score? Your answer tells your level of self-esteem. How important are you? Are you worthy of love, respect and success? It all depends on how you see yourself and how much confidence and self-respect you have. Many of us have struggled with self-esteem issues at some point in our life. I´ve struggled with it most of my life. I´m happy to report that I´ve finally overcome low self-esteem, but it took me more than twenty-five years. 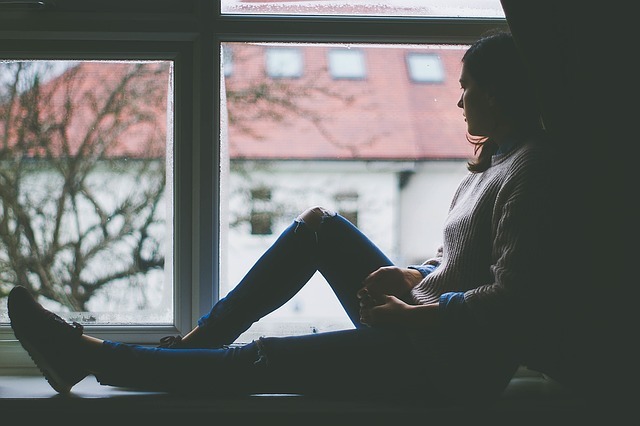 Whether it´s poor body image, bullying or lack of support and validation at home that drove you to this state, there are five most important causes of low self-esteem which, fortunately, you can do something about. 1. Forgetting (or not believing) that God created you. 2. Failing to acknowledge your own worth. 4. Inability to manage your gifts. God said that He created us according to His image. We are His. The King of Kings is our Father. He calls us His children, His sheep, and He´s our shepherd. Does it give you a sense of pride that you are a royal child of God? How we see our self and our worth is attributed to the many factors from our past — from our birth to our growing up. Abandoned by a father or mother, physically/mentally abused by parents or elders, and unloved by the people who are supposed to take care of her, or bullied by peers, are just some of the negative conditioning that can affect your self-esteem. If others are unable to see your worth, you also tend to feel worthless. But the reality is, while you can´t control how others treat you, you can control how you treat yourself. You are important. You are worthy. You have value. We see in this Bible text that as members of the body of Christ we have our own function. We can be the eyes, the hands, or the feet, all of us are called for a significant role. Will it be okay for you to lose a hand because it´s less important than your feet? How about an ear over your eyes? God loves you as a member of His body. You are important to Him. He loves you just as you are. It doesn´t matter if you´re a finger, a toe or a nose, you have a BIG value. So you must learn to see your own worth too. Who isn´t guilty of this? We women are most notorious of comparing ourselves to other women. Who wore the best dress? Who´s thinner? Who´s prettier? Who has the bigger paycheck? Who has the most behave or the smartest kids? Who has the cleanest house or the newest car? Who has the most romantic or good-looking boyfriend or husband? There are six things that the Lord hates (Proverbs 6:17), and what top the list are “haughty eyes”. Why is comparing how you are doing with how others are doing wrong? How does it affect your self-esteem? If you see that you do well than others, you may disdainfully look down on them. But if you see that you do poorly, your self-esteem suffers a blow. You worry about what others think of you. You put too much importance on your image. This Bible text offers two solutions — 1) that we should not be conformed to this world but to instead let the Holy Spirit give us the right attitude, and 2) to focus on our service to others. There´s nothing you can do with the gifts that you don´t have. But what you can do is focus on what you do have, and discover your hidden talents that are yet to be tapped. You have the responsibility to increase the talents that you´re given, use them in serving others and for the glory of God. When it comes to your physical attributes, accept your body as it is. You can never be perfect, no one is perfect; but you surely have assets that you can enhance. The more you concentrate on what you have and the better you manage your gifts, the more you feel good about yourself. What are deceitful desires? They are goals in life that are not worthwhile. Consumerism, materialism, vainness, anything that feeds your ego and drives you to build your hopes on this earth instead of in Heaven. Keeping up with the pattern of this world contributes to your self-esteem issues because you often feel that you are never good enough. You must have heard by now already how social media makes you feel inadequate. And how Facebook, Instagram, Snapchat, etc., are the new and more potent keeping-up-with-the-Joneses enablers. As Apostle Paul said, we need to develop a new attitude in our minds, to be righteous and holy. A mind that focuses on the good. Let´s remember, a healthy, positive self-esteem comes best from our relationship with God.